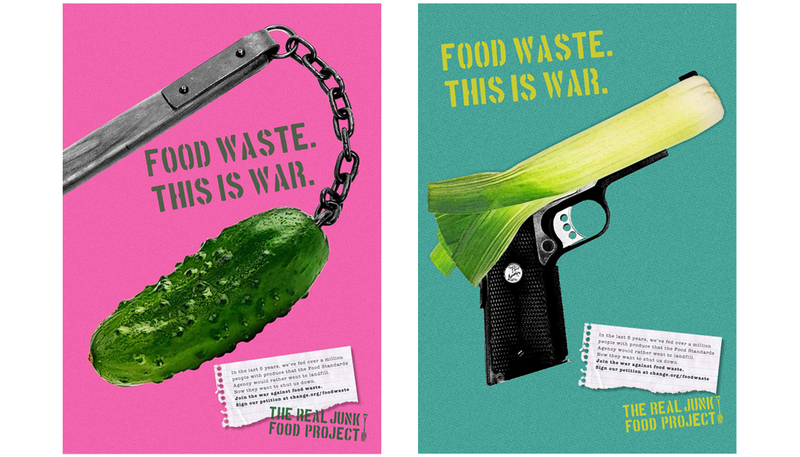 A hard-hitting campaign of press ads, posters and Facebook ads to get people to wage war on food waste. Responsible for: concepts and copywriting. The Real Junk Food Project – creative concepts and copywriting. Roughly 1/3 of the food produced for human consumption every year is lost or wasted. The UK alone throws away 15 million tonnes of food a year, more than any other country in the EU. The Real Junk Food Project combats food waste by collecting produce that would otherwise be thrown away (from food banks, farms, markets etc.) and preparing it for the general public. Food is served on a ‘pay as you feel’ basis. People often pay for their food by donating time and skills, as well as with cash. The network of TRJFP cafés and pop-ups is growing rapidly. There are just two rules that cafés have to adhere to: they must feed everyone who walks through the door (not just poor or homeless people) and customers should only pay what they feel the meal is worth. The project has done deals with national food retailers and distributors including Sainsbury, Morrisons and Ocado, so the food is there, ready to be used. In just three and a half years, TRJFP has fed over a million people with food that would have otherwise gone to landfill. The charity is now at an important crossroads, as one of it’s co-founders, Adam Smith, has been summoned to a formal hearing by West Yorkshire Trading Standards Services, after an inspection at a premises in Leeds. Smith faces potential prosecution under the Police and Criminal Evidence Act 1984, as well as Food Safety and Hygiene Regulations 2013. 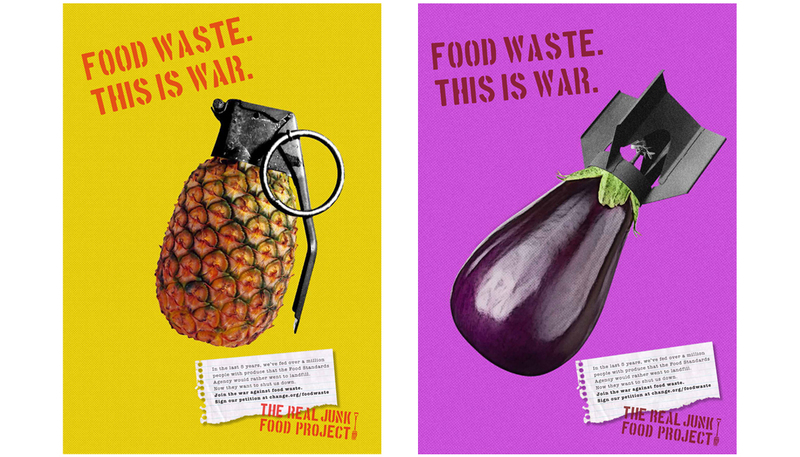 This hard-hitting campaign aims to create awareness and get people to ‘fight’ the war against food waste. People are asked to sign a change.org petition to force the Food Standards Agency to re-think outmoded food labelling laws that mean thousands of tonnes of perfectly edible food is being wasted.